Governor Adams Oshiomhole of Edo State says his administration has created a conducive environment for investments to thrive, explaining that the $1 billion Azura Power Project will make the state the hub of power generation in the country. 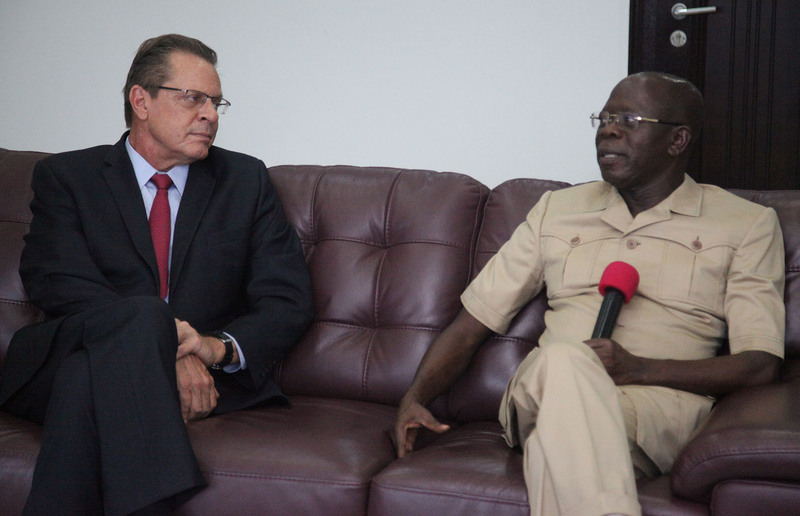 Earlier, the US Consul-General, Mr. John Bray, said they were in Benin to celebrate the opening of the first phase of the Azura Power Plant and to meet the governorship candidates for the September 10, governorship election in the State. He said, “We are here to celebrate the opening of the first phase of Azura Power Plant which is a deliverable from President Obama’s power Africa initiative in 2013. “We are also here to talk to the candidates regarding the upcoming election, and we are hoping that the election will be free, transparent and non-violent. And we will be talking about that.